Two edits of seminal Craig Mack tracks. 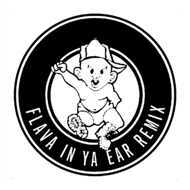 Flava In Ya Ear Remix edit features a verse from the remix by Notorious BIG. The Get Down remix features production and a verse by Q-Tip.